For some Jewish women and families, they live holiday to holiday. Their lives revolve around the Jewish calendar. For the rest of us, Jewish life and holidays is something we intentionally highlight. 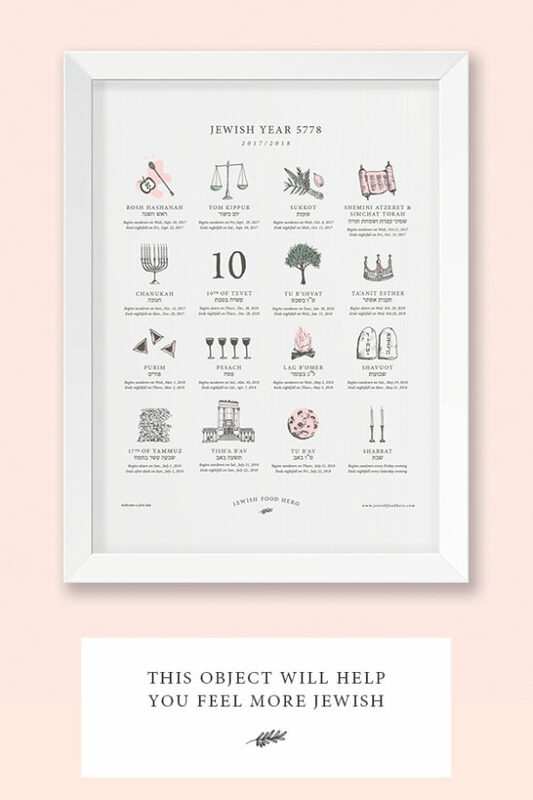 This Jewish holiday calendar is a Jewish touchstone for me. This Jewish holiday calendar beautifies my environment as it helps me keep track of the holiday dates. This Jewish holiday calendar helps me feel more connected to Judaism all year long. Your turn: How do you keep track of the Jewish holiday dates?